UNC Charlotte researcher Akin Ogundiran has been named a Fellow at the National Humanities Center for the upcoming academic year, in one of the most competitive fellowship programs in the world. He will join 36 other distinguished scholars from 32 institutions across the United States and eight foreign countries working on a wide array of projects. With his fellowship, Ogundiran will pursue a project focused on Cultural History of the Atlantic Experience in the Yoruba Hinterland (West Africa), ca. 1550–1830. He is the second member of the UNC Charlotte faculty to be selected as a Fellow at the National Humanities Center. Ogundiran serves as chair of the Africana Studies Department, and as Professor of Africana Studies, Anthropology & History. As a cultural historian, ethnographer, and archaeologist, his scholarly interests and publications focus broadly on emergent societies in Atlantic Africa and the African Diaspora over the past 700 years. These include the topics of community formation, landscape history, materiality, rituals, sacred grove, and empire. He has also written on historiography, black intellectual thoughts, and cultural heritage issues. He is author, editor and co-editor of six books, and has published more than 30 research articles and essays. His writings have appeared in African Archaeological Review, International Journal of African Historical Studies, International Journal of Cultural Heritage, Current Anthropology, and American Historical Review, among others. His books include Power and Landscape in Atlantic West Africa (Cambridge University Press, 2012) and Materialities of Ritual in the Black Atlantic (Indiana University Press, 2014). Ogundiran’s research has been supported by the Social Science Research Council, Wenner-Gren Foundation for Anthropological Research, National Endowment for the Humanities, Dumbarton Oaks, The Carnegie Foundation, and the National Humanities Center, among others. His writings have also been anthologized in several publications including Encyclopedia of Global Archaeology (2014). He is the recipient of 2006 University of Texas Africanist Award. In 2007, he received a Certificate of Special U.S. Congressional Recognition for Excellence in Service. 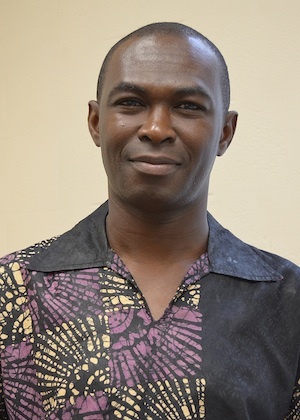 During summer 2015, with a fellowship from the Carnegie Foundation, Ogundiran will travel to Nigeria to collaborate on the development of the public exhibit “Sacred Groves and Green Sustainability in Nigerian Cities” and to plan three collegiate courses focused on the theme of sacred groves, resource management and sustainable environment. A virtual version of the exhibition also is part of the project. The National Humanities Center will award $1,600,000 in individual fellowship grants to enable scholars to take leave from their normal academic duties and pursue research at the Center. This funding is made possible by the Center’s endowment, by grants from the Henry Luce Foundation and the National Endowment for the Humanities, and by contributions from alumni and friends of the Center. The National Humanities Center, located in the Research Triangle Park of North Carolina, is a privately incorporated independent institute for advanced study in the humanities. Since 1978 the Center has awarded fellowships to more than 1,300 scholars in the humanities, whose work at the Center has resulted in the publication of more than 1,500 books in all fields of humanistic study. The Center also sponsors programs to strengthen the teaching of the humanities in secondary and higher education. Q. Why did you apply for the fellowship? A. When an autonomous society becomes part of new and expanded fields of interactions, governed by new rules of exchange, what happens to its internal constitution, how does it translate the new experience into practices of meaning, and what cultural forms are thereby produced? I applied to complete a book manuscript that will answer these questions as they relate to the Atlantic experience of the Yoruba hinterland (West Africa) ca. 1550–1830. Efforts have been made to answer these questions for early modern Europe and the Americas but not for Atlantic Africa, where research questions have focused mostly on the impacts of the Atlantic slave trade and on African cultural influences in the Americas. Q. Why are your book and study significant? A. The book will reveal the aesthetics, materiality, and intellectual currents of self-realization, individuality, cosmopolitanism, political culture, religious traditions, and new gendered relationships that defined the Yoruba hinterland’s Atlantic experience as a co-participant in the creation of early modernity. This study will help broaden our understanding of the cultural history of the global Atlantic/early modern world by writing an African experience of early modernity into the Atlantic historiography and the anthropology of modernity. Q. What findings have you made thus far in your research? A. My longitudinal interdisciplinary research—archaeological, historical, and ethnographic—has led me to the conclusion that the commercial pressures from the coast (especially the circulation of new goods, tastes, and ideas) and the ways these were politically managed had significant impacts on the entire Yoruba society. New cultural practices and new experiences developed, and a new society was born. Q. What does it mean to you as a scholar to receive this award and this support? A. Many top and emerging scholars want to be at NHC in order to take advantage of its rich resources for the pursuit of humanistic inquiry, so the fellowship is a difficult one to receive. It means a lot to me to be counted among the 15 percent selected in one of most competitive fellowship programs in the world. The opportunity to spend time with some of the best minds and respected leaders in the humanities and social sciences is humbling, as I will be able to discuss my research project with this cast of scholars and put my work in critical comparison with what others are doing across the globe. How will you bring what you learn through this research into the classroom? A. I know that I will learn a lot from making new discoveries through the fora that NHC provides. I developed courses on African Modernities and African Diaspora Theory some years ago. I think the research and knowledge that I will acquire at NHC will provide me with new information to share with students and will allow me to teach these courses in new ways, with deeper and wider comparative perspectives. The fellowship will also give me the time to work on my new theories of Africa-centered modernity. Q. Why is it important to conduct this research? A. My ambition is to write what I call a “total history” where the boundaries between many humanistic and social science disciplines are collapsed. The book will place Africa at the center of the global history of modern world – that is as a co-originator of modernity rather than seeing Africa as a periphery of it. Our commitment to globalization and diversity calls for truly global ways of understanding the past and present in order to chart better directions for an improved future. Our understanding of freedom, liberty, and progress will remain incomplete until we understand how non-Western peoples experienced and shaped these concepts.